The Development Office was established in 2017 to play a pivotal role in fostering lifelong relationships between parents, alumni and the school’s extended community. Through this we seek to engage more effectively with all our stakeholders and to build a strong community. Edge Grove recognises that we must never stand still and rest on our laurels. 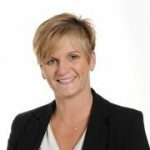 Progression and development is key to the continued success of any organisation and therefore we are proud that Our ‘One School’ vision will provide us the framework for future development and capital projects that will secure our future in this competitive environment. Fundraising though the Development Office plays a central role in our drive for excellence and diversity and helps to ensure that an Edge Grove start to a child’s education will provide them with confidence required for their next steps in life. However, this is just one element of the Development function and is just one of the many reasons we keep in touch with the whole Edge Grove community. Friends, Alumni, current and former parents, and the pupils themselves all make a huge contribution, both in terms of gifts of time, experience and resources. We, as an institution, do not run our finances at a significant surplus and so it is the generosity of today’s Edge Grove School community providing those extra items that help enhance and enrich their learning both inside and outside the classroom. If you have any questions regarding the work of the Development function, please do not hesitate to contact me; I would be delighted to talk to you. Artist impression of proposed new Lower School entrance. Building work is commencing in September 2018. Due to open Autumn 2019. This is a wonderful opportunity to leave your mark at Edge Grove and one not previously offered for development campaigns. 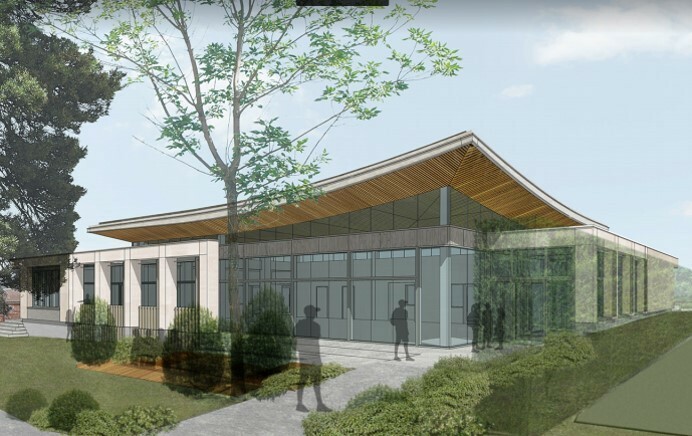 The outdoor classroom of the new Lower School will be marked out with wooden benches enclosing an area of York Stone pavers on the ground. 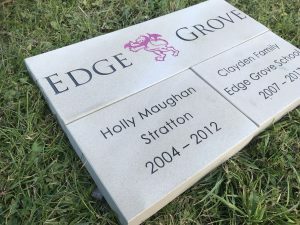 These beautiful pavers can be sponsored and personalised with a named inscription and offer a way of leaving a legacy that will last for many years to come whilst cementing your connection to Edge Grove School. To order your paver please download the order form above, complete and return to the Development office with confirmation of payment in full.